Providing high-quality post-acute care to patients recovering from an illness or injury is a critical component of the healthcare delivery system. The Medicare fee-for-service payment method has historically limited the incentive to promote integrated post-acute care where providers work together to determine the most appropriate and cost-effective care setting and then collaborate to achieve a smooth care transition. 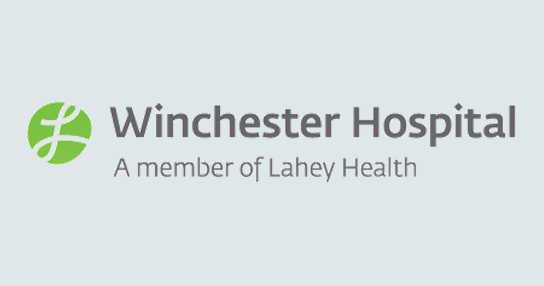 However, a partnership between the Winchester Hospital Joint Program, Excel Orthopedics, and Winchester Home Care via a private health information exchange is changing that. Winchester Home Care is taking on reform of the current system with an integrated post-acute care management model for patients who undergo elective joint replacements. Breaking down post-acute care silos, and replacing them with a collaborative approach around identifying which patients are appropriate for each post-acute care setting. Reducing rehabilitation stays and increasing the rate of discharges to home after elective joint replacement surgery. Creating a post-acute care system that is more patient centered and that reduces the need for emergent care and rehospitalization. An initial team identified technology (including a mechanism to communicate patient information via a secure system) and education (of all parties, including the patient) as central to the project's success. The project launch was aided by a grant of $75,000 from The Massachusetts eHealth Institute that supported efforts to improve communication and enhance the efficiency of workflow between the orthopedic practice, pre-admission testing, and home care. In the planning phase of the eHealth project implementation, the home care team worked to begin the shift towards enabling more patients to go directly home from their surgical inpatient stay. The Mass HIway was used beginning in May 2014 and provided a seamless approach to communicating information, eliminating the manual processes set up during the implementation phase. Critical to the effort was the identification of patients who are appropriate for discharge directly home versus a transfer to a skilled nursing facility. One of the mechanisms used to determine this for some patients is RAPT (Risk Assessment and Prediction Tool), developed by the American Congress of Rehabilitation Medicine and the American Academy of Physical Medicine and Rehabilitation. This tool helps determine whether a patient is a suitable candidate for an integrated program, which enables the patient to be discharged from a hospital directly to their home. In addition, the use of a secure electronic communication system triggers a process by which an increased number of patients are enrolled in Winchester Hospital pre-surgical education (Joint Class). By increasing the number of participants in this Joint Class, patients are better educated on their options for post-acute care, with an emphasis on the option of going directly home with services after their inpatient stay. The added feature of having this secure electronic communication is that upon discharge from home care, certain clinical documents can be sent to the orthopedic office, allowing the surgeon to review the patient's progress with recovery. The team was able to shift significantly the percentage of patients who were discharged home from their surgical inpatient stay versus discharge to a skilled rehab facility. This shift began during the planning phase for the Mass HIway implementation project and, to date, reflects a 30% increase in these patients receiving their post-surgical care at home. According to Karen Keaney, director of Winchester Home Care, "This program has resulted in a significant increase in patients' electing to receive their post-hospitalization services in the home care setting as compared to a rehabilitation facility. Our patients have benefited from the partnership between the orthopedic practice, hospital, and home care as evidenced by excellent clinical outcomes, and, most notably, a zero readmission rate for patients admitted directly to home care from inpatient surgical hospitalization."